SE-03 Indicators are designed for control of external labels printer (language EPL-2 or ZPL). 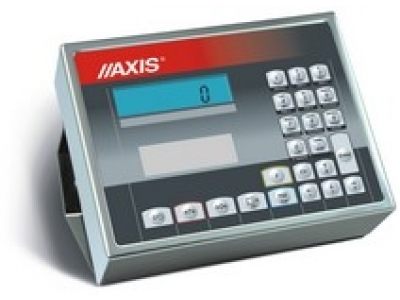 Alpha-numeric keyboard allows for entering: expiration date, product bar code, price. This data can be stored for 150 products. Moreover it is possible to print: producer’s logo, tare, current date and time, charge, number of packages, number of pieces in package, sum of net and gross weights, total labels. Label print may be performed automatically after weighing.